Shell Scotford is an industrial site located near Fort Saskatchewan (Northeast of Edmonton), Alberta in Canada. Scotford consists of the following operating units: chemicals, refinery, upgrader, and Upgrader Expansion 1 Operations. There are two classes of business at Scotford – manufacturing and heavy oil. 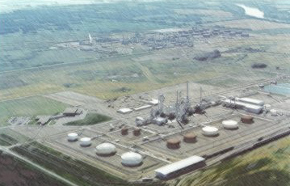 In 1984, Shell opened both the refinery and chemical plant (styrene) on the Scotford site. Today, both the plants work together as one organization – Scotford Manufacturing, operating under Shell’s Downstream Manufacturing class of business. In 2000, a world-glass glycols plant (MEG plant) was opened alongside the existing Styrene Monomer plant (SM plant) at Scotford Chemicals. With this, Scotford Chemicals helps create many of the products people use every day. Through the two chemical product lines, Styrene Monomer and MEG, Shell Scotford manufactures ingredients for hard plastics used to produce items such as bicycle helmets and computer consoles, and ingredients for products such as water bottles, medical equipment, and even fleece clothing. This APC implementation was carried out on the MEG unit. The Scotford MEG unit operation utility consumption was high because of regular aging of the catalyst. Steam consumption was more than what was required and the operation of the separation columns was not tightly controlled, resulting in desirable TEG product loss to the TEG column bottom section. Aqueous EO feed was manually adjusted frequently by the board operator based on the level in the EO buffer vessel. Yokogawa precisely followed Shell’s methodology of project implementation, actively participated in technical discussions, and took responsibility in executing the project with required support from Shell. The Advanced Process Control (APC) application is implemented on the EO absorber and stripper, CO2 removal section, LERA column, EG reaction section, EG concentrators, and the EG dehydrator and separation columns, with the objective being to minimize steam consumption in all areas of the plant and maximize desirable product TEG production by pushing TTEG into the TEG stream. The APC application is always operated in optimization mode to meet the objectives with the operation parameters controlled within the specified operation limits. The impact of the steam consumption reduction in the EO buffer vessel is accurately predicted and the aqueous EO feed is continuously adjusted by the controller to control both the buffer vessel level and the EG reaction kinetics as desired. The APC application implemented on the Scotford MEG unit helped control the plant with less variation during load changes and with less operator interactions during plant operation. This resulted in maximizing the TEG production and reducing overall steam consumption. 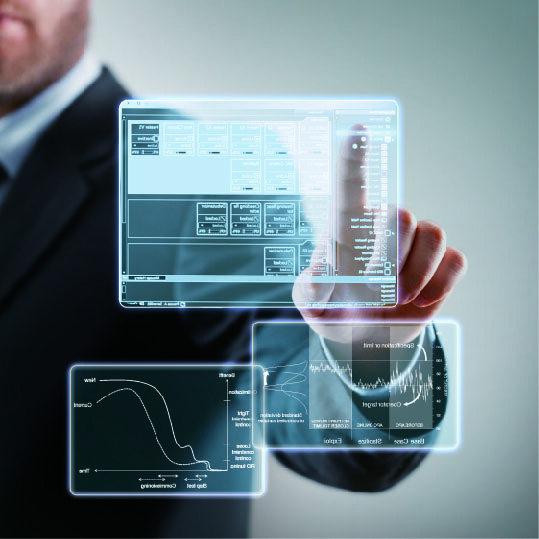 Yokogawa assisted in the project implementation by providing step testing, model identification, model acceptance, pre-commissioning, training of operators and engineers, commissioning, controller tuning and post implementation review. A post-implementation study estimated that the overall MEG Unit APC controller returns a savings about 18% greater than the originally estimated benefits. Although both the steam consumption reduction and TEG production increase were greater than originally estimated in 2009, the prices for steam and TEG used in the post-implementation study were reduced by 10% and 45%, respectively, from their 2009 prices. Shell Global Solutions and Shell Scotford Management were completely satisfied with the way the project was implemented and the results achieved.